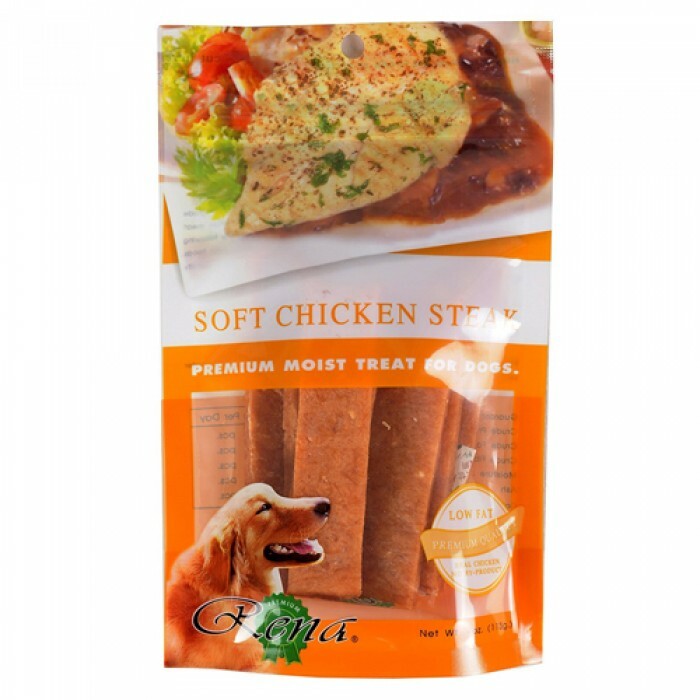 Product Details-Ingredients - Chicken Meat, Tapioca Strach, Glycerine, Sugar, Parmesan Cheese, Soy Protein, Garlic Powder, Food Coloring and Preservative, Quantity- 113 Grm, Suitable-All Breeds Dogs. Product Information - Rena Soft Cheese Chicken Steak Treat your dog as a member of the family with 100% human-consumption grade ingredients with these treats from Rena. Your best friend deserves a treat made from all real chicken meat with no by-products. Be confident that you are serving your dog safety and quality. Comes in four lip smacking flavors that will make sure to leave your best friends tail wagging for more.